What you wear to a job interview might not make or break your chances at getting hired, but it certainly plays a part in the process, and can eventually affect everything from how seriously your coworkers take you, to how much you get paid. Unfortunately, dressing for a job interview as a woman can be more complicated than it is for men—just ask any female politician, news anchor, or the many (but still too few) women working in tech. 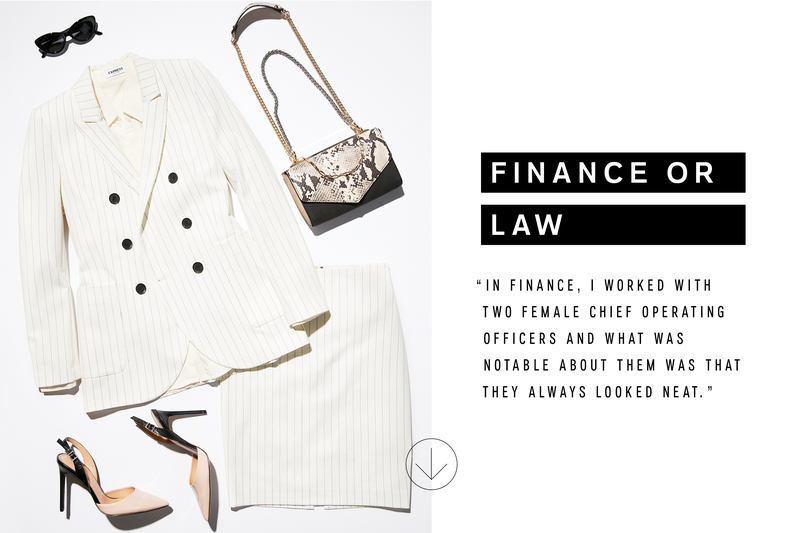 The truth is a lot of professions don’t have a standardized uniform for women, which can make shopping for boss-lady clothes a little confusing. But on the bright side, never having to wear a standard-issue suit and tie (unless you want to!) is pretty damn cool. After all, it’s 2018. No matter how old you are or what you’re applying for, your next interview outfit should be equal parts comfortable, fun, and confidence building. 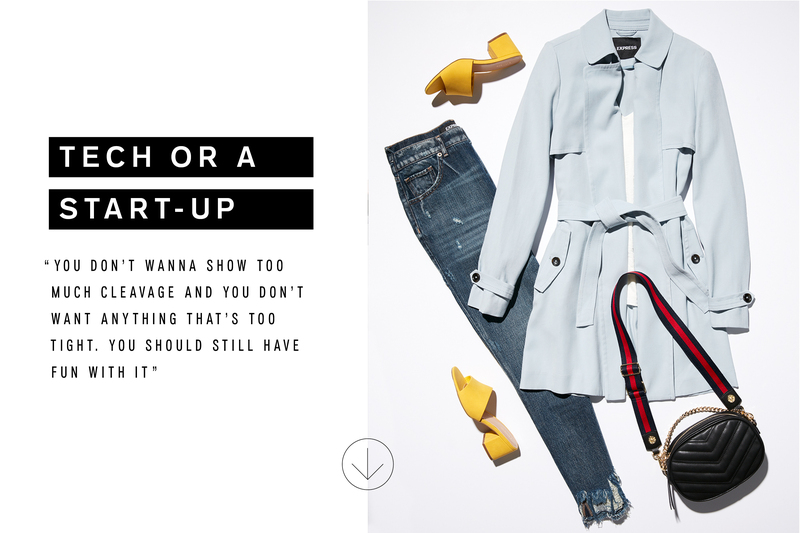 To help you find just that, we talked to three experts in the art of hiring about pants vs. skirts, whether or not you should wear jeans, and the best manicure colors for ambitious applicants. So sit back, prep that resume, and let us be your style guide. Probably the most formal environment you can work in is a law firm or a financial institution. So the clothing you choose should reflect that. But business attire doesn’t have to be boring and suits come in all colors and fits. This play on a classic pinstripe suit says “I have my sh*t together” while separating you visually from the glut of candidates in navy. So throw caution to the wind and wear white, as long as it’s free of wrinkles and coffee stains. The rumors you’ve heard about tech companies and their uber casual style may be true, but don’t let that put a damper on your natural cute-outfit-building abilities. Think of this as what you’d wear to brunch with your parents: jeans (not too tight), a crisp white tee, and a flattering belted trench. You may not be expected to dress up, but you definitely don’t want your style to convey carelessness. And remember, this is a serious affair, so you’ll want to show your more conservative side and not too much skin. So you’re about to land your first design job, go you! The simplest way to avoid showing up in something too flashy is by skipping saturated colors in lieu of graphic black and whites. A contrasty pair of plaid or striped pants will show you’ve got a strong point of view without screaming “look at me!” Compliment your bold pants with can’t-fail cool-girl essentials like a dark denim or moto jacket. Still feel bored? Get your sophisticated swag on in the form of statement earrings or a pair of all-white boots. Just remember, this isn’t an art director costume contest. Customer-facing jobs require a very specific level of put-together-ness not present in other industries. Down the line, your coworkers will forgive you if you accidentally spill salad dressing on your skirt. But working in a hotel or an upscale store means you represent that place to the world (including cranky tourists). What you wear to your interview should prove you’re up to the challenge. Black pants are always professional looking and will hide nearly any stain. And a flowy striped shirt works as toothpaste camouflage in a pinch. Everyone’s tolerance for standing in heels is different, so if you’re applying for a job where you’ll be standing a lot or frequently running around (see: teachers, stylists, photo assistants) wearing shoes you can’t walk in is a big no-no. A pair of clean white sneakers are perfectly respectable job interview fare, especially when paired with a structured top coat. 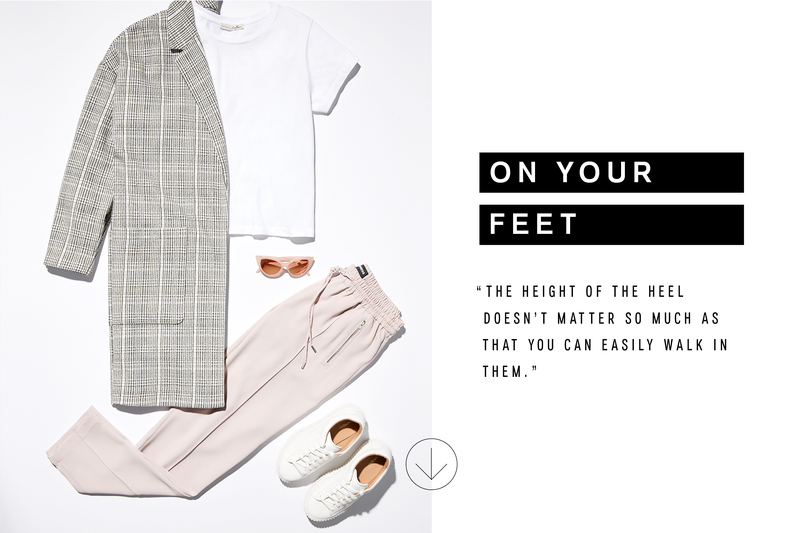 Keep comfort a top priority with these dusty pink (and secretly elastic-waisted) trousers and play them off with some matching pink shades. The trick to wearing the rose-colored hue: choose a pale shade and mix with stark black and white.